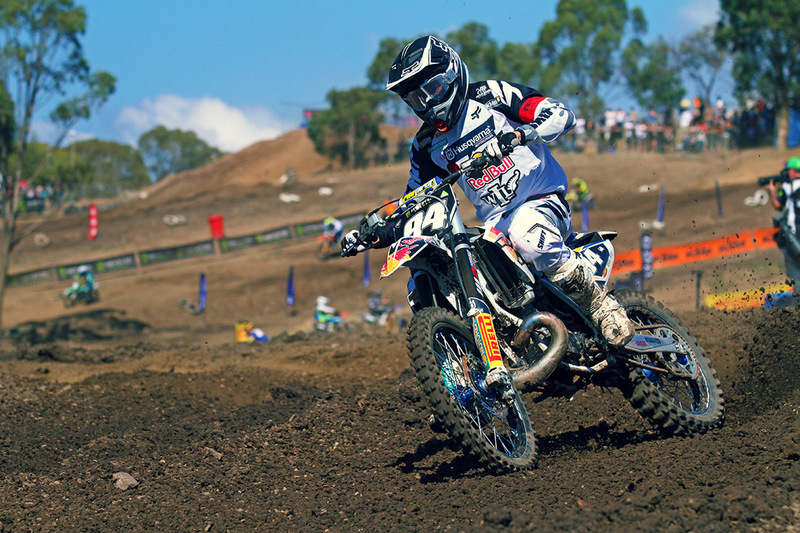 Red Bull Husqvarna rider Kayne Lamont was the class of the field at Broadford’s opening Monster Energy MX Nationals round, taking his first overall MX2 victory just one week after claiming the New Zealand title. MotoOnline.com.au cornered the talented Kiwi for a review on the round and more straight after the third and final moto of the weekend on Sunday. Congratulations on the win, it must be a really good feeling to come and get it done first time out. Yeah, expectations where quite high for me coming off my season back home and taking the title. It’s a good feeling to come across here and take the first win for sure. It’s one of my favourite tracks and I’m really looking forward to the next coming rounds as well. Your form so far on the Husqvarna, back on the two-stroke, has been really strong in New Zealand and now here as well. You’re obviously comfortable with the whole structure of your program? Suspension Tech has got my suspension and my engine tuned perfectly, so going out and riding it is quite easy to be honest. But there are some hard racers out there and the track was gnarly today. You’re not 100 percent fit either. How are you feeling after having your appendix surgery just over a week ago? I’m heavily strapped again today as I was at the last round at the nationals in New Zealand. I’m about 80 percent now. Last week I was on the couch all week, so I am looking forward to getting back into training and be back on the bike during the week and hopefully make some improvements. Last year was a bit of a bum year for me with injuries; I didn’t really gel too well in my first season. With a year under my belt, I’m a lot more confident. This year should be a lot better! As far as the two-stroke goes, is that bike you favour? Because from memory, you won your MXD title in 2012 on a 250 two-stroke before switching to a 250F last year. Now you’re back on the two-stroke obviously. Yeah, well I am doing it off my own back and it’s the cheapest option. If I had my own choice, I would ride a four-stroke, but we don’t have enough money to tune one perfectly. But we have my two-stroke running well. It’s bless to ride as I said, so I think we have done a good job. No worries mate, well thanks for your time and we’ll see you at Appin.